One of the things ACDIS members appreciate most about membership is connecting with other CDI specialists. One of the best ways to do so is through the ACDIS Forum. 3. Click on discussion thread corresponding to the topic of your inquiry (for our example, we’ll use “Clinical & Coding”). 5. 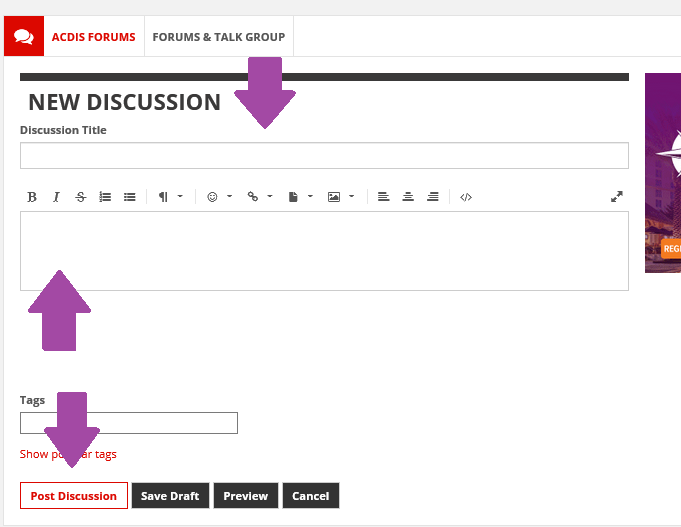 Type in your discussion title, question or scenario, and any relevant tags you’d like to include. Then, click the “Post Discussion” button at the bottom. To become a member of the ACDIS Forum, click here. 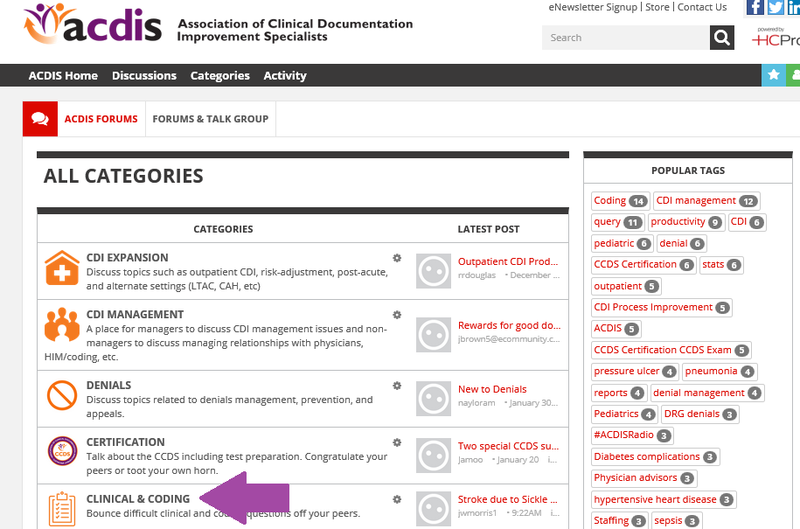 Only ACDIS members can actively participate in Forum discussions. Editor’s note: If you have any questions regarding joining the forum, email ACDIS Editor Linnea Archibald at larchibald@acdis.org.